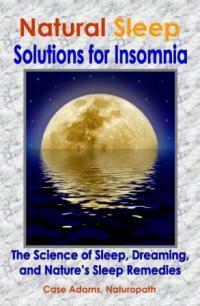 For those that seek natural relief from insomnia, melatonin often comes to mind. Melatonin has been shown to be very effective in improving sleep issues in some individuals, but it also has many other lesser known applications. Several studies have now confirmed that cherries not only increase sleep duration and sleep quality, but they are anti-inflammatory. The newest study comes from researchers at Spain's University of Extremadura. They tested 30 people – ten between 20 and 30 years old, ten between 35 and 55 years old and ten between 65 and 85 years old. The researchers randomly divided the subjects into two groups. They were given either a tart cherry juice drink or a placebo with cherry flavor twice a day. Those who drank the cherry juice experienced substantially better sleep quality – measured by sleep efficiency, awakenings, and total sleep time. Melatonin could have an effect on body weight. Self-administered acupressure taught in a short training course may be a feasible approach to improve insomnia.